Beautifully situated 3800+/- square foot rancher with mountain views on 67.50 +/ - acres. This property is turn key with fenced pastures for any live stock, cows, horses, goats, etc.. 6 stall barn with electric and water, run in shed, machine shed. 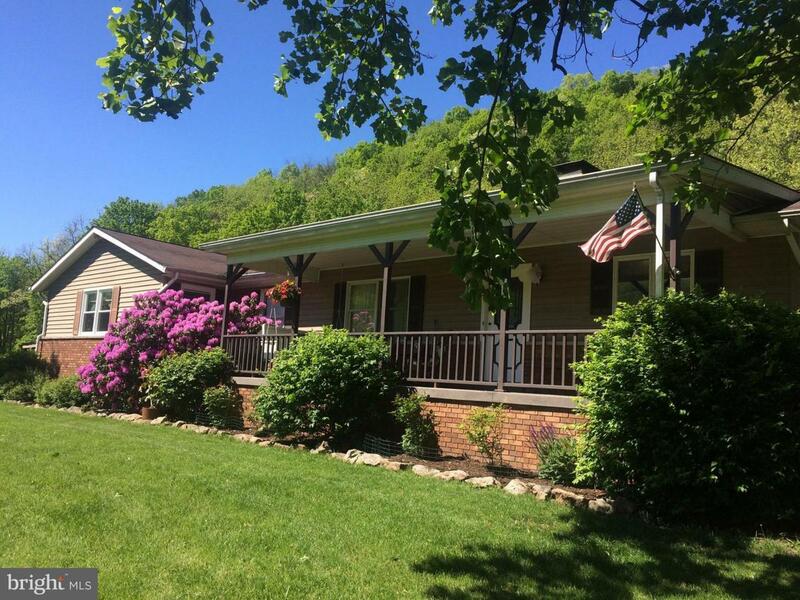 The property lies on both sides of the road and across Wills Creek which is great for fishing, floating or just relaxing near...and riding trails! Listing courtesy of United Country-White Home Team Llc.